‎”Occasionally in life there are those moments of unutterable fulfillment which cannot be completely explained by those symbols called words.” Martin Luther King, Jr. Happy Sky Watch Friday friends, the concept behind Sky Watch is great fun to appreciate the shows that nature puts on in our skies and all for free. Click the link to see what bloggers from all over have found in their view of the sky to share this week. Well, this picture is worth AT LEAST 1000 words! The colours and patterns in the sky look like a painting.<br /><br />Have a great day! This is an amazing shot! 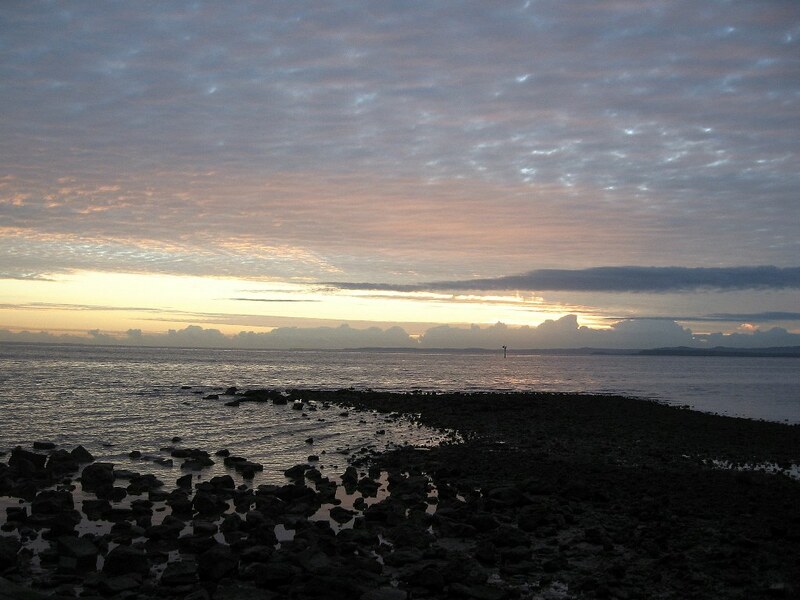 It looks as thought the rocks are mirroring the pattern of the clouds in the sky! beautiful picture and quote Mandy! Grand pastels!! Boom &amp; Gary of the Vermilon River, Canada. Fantastic view of the sky and ocean and a lovely quotes. a beautiful moment of serenity…thanks so much for sharing this Mandy! this one&#39;s very dramatic. it looks more &quot;deep&quot; than your usual charming shots. Oh, this is beautiful. I like the rocky beach in the foreground. Great shot, liked the color differences. 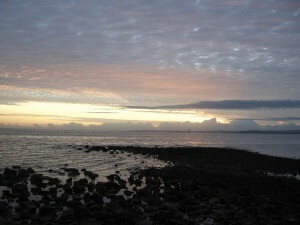 The rocks in the left foreground seem to echo the clouds in the sky right…<br />I love the delicate colours! So beautiful!<br /><br />My <a href="http://www.obstaclesandglories.com/2011/11/visiting-loved-ones.html&quot; rel="nofollow">Skywatch</a>, have a nice weekend! A lovely sky capture and quote. Happy skywatching! Leave a Reply to chubskulit Click here to cancel reply.